Low level Laser Therapy is the method of using laser light at very low power to stimulate body cells. LLLT was first discovered soon after the invention of the Ruby laser. Discovered that use of this laser light at low power on the backs of shaven mice caused the hair to grow back faster. Subsequently many other uses of LLLT were discovered. LLLT is used not just for hair rejuvenation but also for faster healing of wounds and ulcers, in chronic joint pain, muscle pain, etc and for rejuvenation of skin. LLLT uses light at red or infrared frequency. The light is projected on to the scalp and kept for the specified time. The exact mechanism through which LLLT acts is not known, but it is hypothesized that LLLT acts on the mitochondria in cells to cause increased ATP generation which in turn leads to increased oxygenation and activity of the cell. 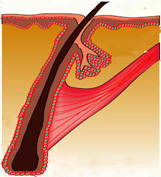 LLLT will not cause bald areas of the scalp to regenerate hair follicles. It is similar to the fact that medicines can help a sick person to get well but nothing can revive a dead eperson. So also LLLT cannot revive the dead hair follicles in bald areas but it can rejuvenate follicles which have become weak. LLLT works best for persons who have been having severe hair fall. It also works for those with thin hair, weak hair, hair which has become easily breakable, etc and helps to make such hair stronger. LLLT is available in Arogyam Hair Transplant Clinic. A sophisticated 80-laser array helmet-type assembly is used which is to be worn on the head. It is used for those with excessive hair fall and weak hair. During the process, the helmet is worn on the head and the patient sits in a chair for the required time. There are quite a lot of scientific studies done on LLLT. 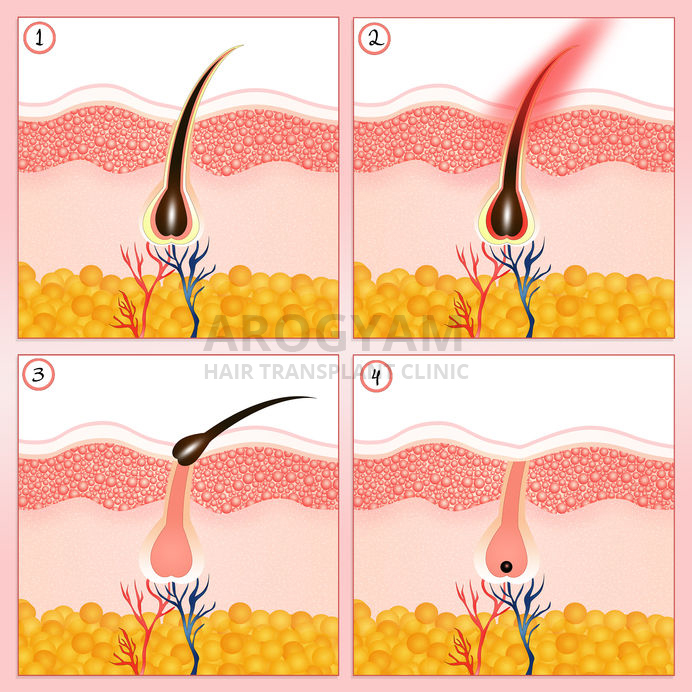 Most studies show a clear benefit in hair rejuvenation but a few studies have not reported any positive results. There is hence a scientific controversy as to whether it actually helps in hair rejuvenation and other conditions in which it is used. It has both academic supporters and detractors. Overall there is reasonable scientific evidence to go for this treatment, on the premise that it at least will not cause any harm, even if it does not bring any benefits. Links to some studies both positive and neutral are given below. It is really up to the individual person to read up and decide whether to go for this treatment. It is a completely painless process and the patient will not feel anything. Sessions last for 15-20 minutes once or twice a week for 6 weeks. This is sufficient to reduce hair loss and rejuvenate the hair. Each session costs Rs 500.